You are here: Home / parties / boy parties / Hippity Hoppity Happy Easter! 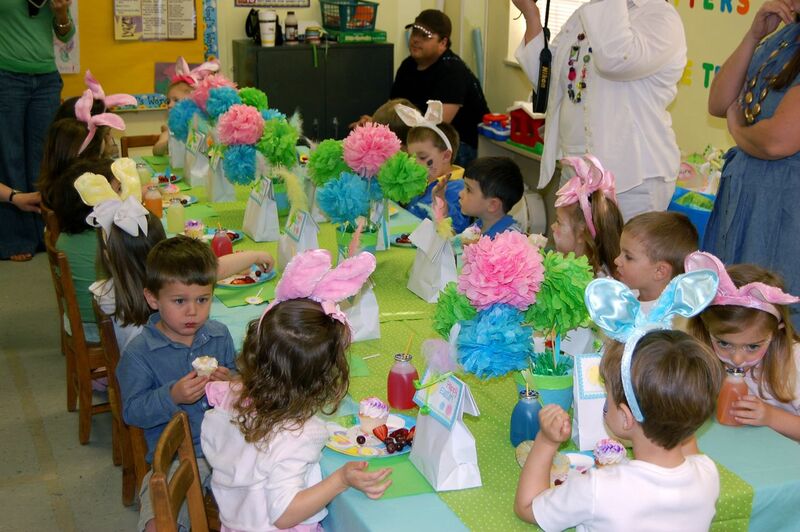 So I’m that lucky mom this year that gets to throw the kid’s Easter party at school. Fortunately, all the cool stuff we made for Brennan’s 1st birthday party just needs a touch of pink to make some really spectacular decor that only the teachers and I will appreciate. I never can do things by halves, so I did make a cute little Easter themed suite with cupcake toppers, party circles and big bag/basket tags. The kids made Easter baskets in class this year, so I opted for a snazzied up paper bag. I couldn’t resist the feathers. 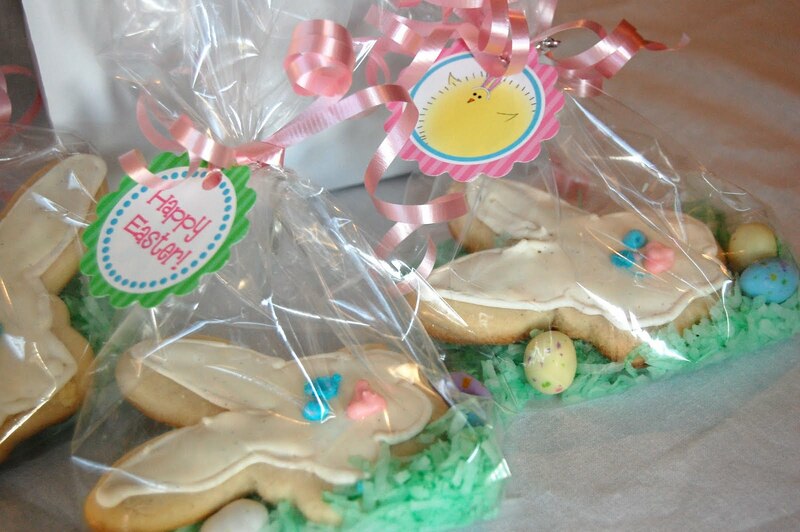 Each one has a bunny cookie and three plastic eggs: two with candy, one with three fuzzy chicks. The party circles finished these off perfectly! The kid’s party went well–the room was quite colorful once I filled it with the tissue pouf arrangements. I painted bunny faces on all the kids that were willing and topped them off with bunny ears…it was quite a scene by the time we were all done, and everyone had a blast! 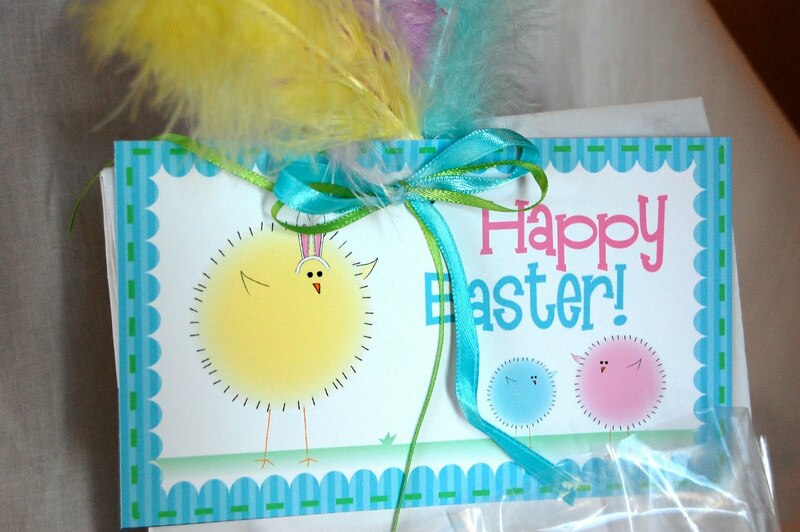 Love those Easter bags and your ideas! Can you email me the tag for the bag toppers for Easter?